ISB MFAB (Management Program for Family Business) Admissions team interviews with GyanOne, providing insights into the program features, application process and admission criterion. GyanOne: How is the MFAB different in structure and curriculum from the PGP and PGPMAX offered by ISB? What are the unique features of the MFAB? 1. Much like PGPMAX, MFAB is a modular program. Students spend one week on campus attending classes for every six weeks. In all, there are twelve terms including the one term that happens at Kellogg. PGP is a full-time residential program. 2. These three are post graduate level management programs; the focus of MFAB is imparting skills necessary to take the family business to the next level. Therefore, in addition to covering core management principles, students get exposure to courses that address specific family business related challenges. Another important and unique feature of MFAB is international exposure that students get. They get to spend one week at Kellogg which has a family business center that has been doing quite a lot of work on issues related to family business. GyanOne: While family business owners want to have a holistic view of business and general business understanding, they also invariably wish to focus on different functional aspects (like finance, marketing, or operations) as well as different industries (like manufacturing, real estate, or healthcare). What does the MFAB offer in terms of these? ISB MFAB Admissions Team: As part of the core curriculum, students get exposed to all functional aspects of the business viz., finance, marketing, operations etc., In addition, the cases discussed as part the of the classes are selected from various industries. In addition, MFAB class is very diverse. This diversity will also enrich class discussion and students benefit from the functional and industry experience of the classmates. GyanOne: Is the MFAB offered at both campuses (Hyderabad and Mohali)? Is the program exactly the same in both these locations or are there location-specific specializations? ISB MFAB Admissions Team: There is only one cohort/class per intake. Classes are predominantly held in Mohali with few terms held in Hyderabad, and one term at Kellogg. GyanOne: Networking is often seen as an important aspect of MBA programs worldwide. While it is understood that MFAB students would network with their peers within the program, what avenues are available to offer them a platform to network with PGP and PGPMAX students, given that these networks are much bigger? ISB MFAB Admissions Team: MFAB students get plenty of opportunities to network. The networking starts when they enter the program and continues even after their graduation. PGP, PGPMAX and MFAB students become members of ISB Alumni Network which has chapters in various cities. They get to participate in alumni events and continue to network. Thus the networking is not limited to within the MFAB network but across all post graduate programmes offered by ISB. GyanOne: What are the international exposure opportunities that MFAB students can avail? ISB MFAB Admissions Team: As part of the course, there two different international immersions planned. First, there is a mandatory week at Kellogg. Entire class will travel to Kellogg, and spend a week there. Course fee includes fees, and accommodation for Kellogg term. Second, there two optional immersions one in China and one in Africa. These are at additional cost. GyanOne: Family businesses in India are not homogenous. While in some, the next generation of leaders is tasked with emergent growth and further enhancement, at others, the focus is more on maintaining the business concern and running it well. Given that MFAB applicants too will come with different learning needs in this respect, how does the program plan to cater to them? ISB MFAB Admissions Team: Look at it this way, our PGP students go and work in various industries after graduating and many of them join the program so that they can switch industries and functions. Therefore, a good management program will equip students with necessary analytical and decision making skills so that they can excel in various industries. As a world class management program, MFAB is no exception. We equip the students with general management concepts that can be applied in any business and ways to deal with issues that are unique to family businesses. GyanOne: The MFAB is the only ISB program which does not require the GMAT. The Business Admissions Test (BAT) is used instead. What is the reason for using BAT instead of the GMAT? Can people with GMAT scores apply too? ISB MFAB Admissions Team: Programs at ISB have different admission criteria depending on the segment for which the programme is designed. The students of PGP take up jobs at various consulting and other industry vertical. GMAT allows in identifying students with some skills that are important to the potential recruiters. PGPMAX is designed for senior executives with around 2 decades of experience, their rich experience is a good enough measure of their potential and hence the need of an admission test is not felt. For MFAB, we chose BAT as it has a case analysis which tests business acumen of the applicants. GyanOne: We have been helping students prepare for the BAT for more than a year and one of the most common questions we come across is on the importance that the BAT holds in the admissions process. How important is the BAT as a selection criterion? 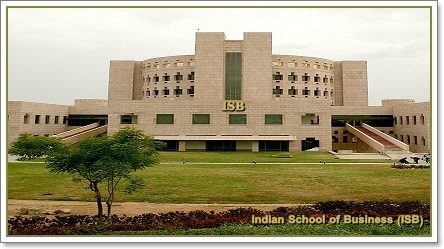 ISB MFAB Admissions Team: It is an important factor in the admissions process. Having said that, we take a holistic view of the application. GyanOne: Continuing on BAT preparation for the ISB MFAB, another question we often get from BAT students is around the case study part of the BAT. As this requires at least some business proficiency, potential test-takers wish to know what counts more in evaluations for the case study part – analytical skills or business acumen? ISB MFAB Admissions Team: We do not view analytical and business acumen as two different things. Applicants with good analytical skills coupled with experience will be in a better position to demonstrate their business acumen. quality and management potential and various other factors. MFAB in achieving their business plans. 3. More than quantum of experience, we look for the quality of work experience.